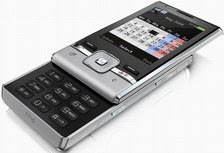 Sony Ericsson T715 is a compact slider mobile phone is sophisticated, with a large keypad, smart desktop, Reminder appointment, note, and animation for birthday and special event globally. Access turbo 3G network connection is also in the latest Sony Ericsson mobile phone is for browsing speed Internet access. Sony Ericsson T715 mobile phone has a 2.2 inch sized display screen and can still be read in the sun. This mobile phone T715 comes with Google Maps, 3.2 megapixel camera with Photo Light conditions for the perfect picture without lighting affected. For Sony Ericsson T715 price range is $ 279 and will be present in the third quarter 2009, in color and Rouge Galaxy Silver Pink.